Article: George Dalton Looks Incredibly Cool At The Dragon Ball Z: Resurrection ‘F’ Premiere! Perfect premiere night and a perfect red-carpet attire to go along with it! 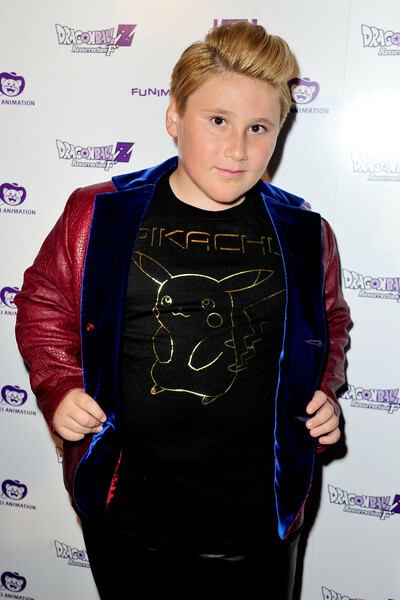 The multi-talented, fantastic actor / YouTube star: George Dalton looked incredibly cool as he attended the Dragon Ball Z: Resurrection ‘F’ premiere at the LA LIVE Regal Cinemas 14 in Los Angeles, California yesterday, July 2, 2015. George Dalton, who stars in the highly-anticipated Netflix show, Wet Hot American Summer: First Day of Camp, looked brilliant wearing a Jonathan Logan blazer and pants and Venettini shoes. The wonderful George Dalton was styled for the event by none other than the fashion guru herself, Ms. Ali Levine. The awesome George Dalton wrote along with a photo he shared through his Instagram account, “At the red carpet premier of Dragon Ball Z: Resurrection F #cool #dragonballz #DBZRF“. Check out more photos below of the incredible George Dalton looking phenomenal at the Dragon Ball Z: Resurrection ‘F’ premiere! I’m glad George Dalton had an excellent time at the event! Next Article: LJ Benet Looks Phenomenal At The Dragon Ball Z: Resurrection ‘F’ Premiere!